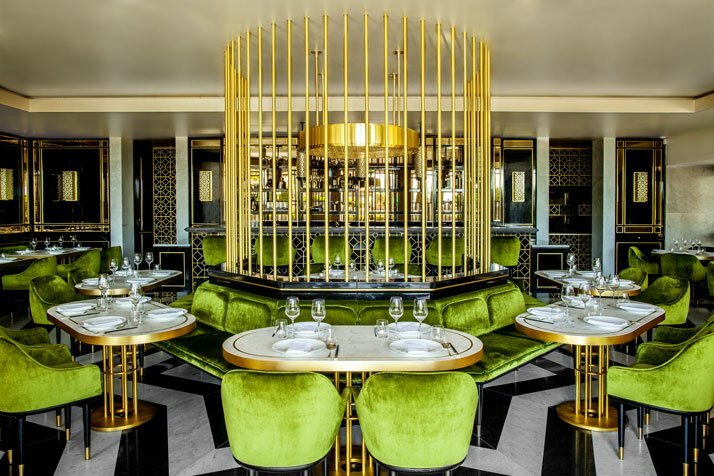 Striking in its elegance and Art Deco drama, the restaurant everyone’s talking about at the moment is Song Qi in Monaco. 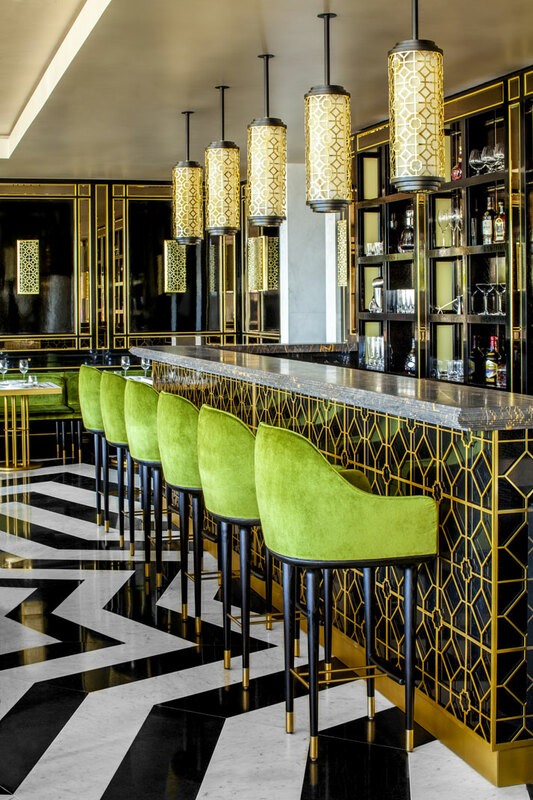 The first gourmet Chinese restaurant in the principality, Michelin starred chef Alan Yau’s cuisine may be excellent, but isn’t the only reason to drop by. 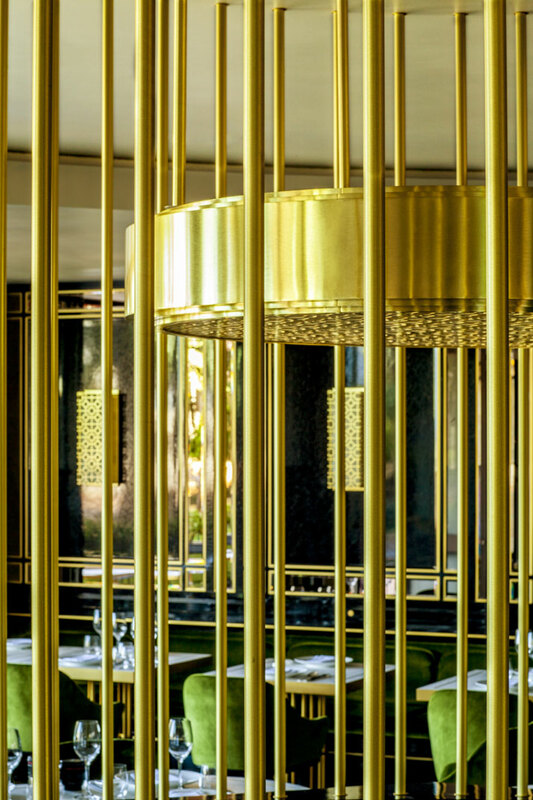 Paris-based architects Emil Humbert and Christophe Poyet have created a very sleek design with a contemporary twist on Shanghai’s 1930s golden age for the restaurant. The space is extraordinary in its impact, with the refined attention to detail, the use of colour and the combination of materials bringing one of the most exclusive addresses in the world on the avenue Princess Grace back to life once again. The ring of chairs upholstered in vibrant green velvet around the central circular table is the main focus of the room. 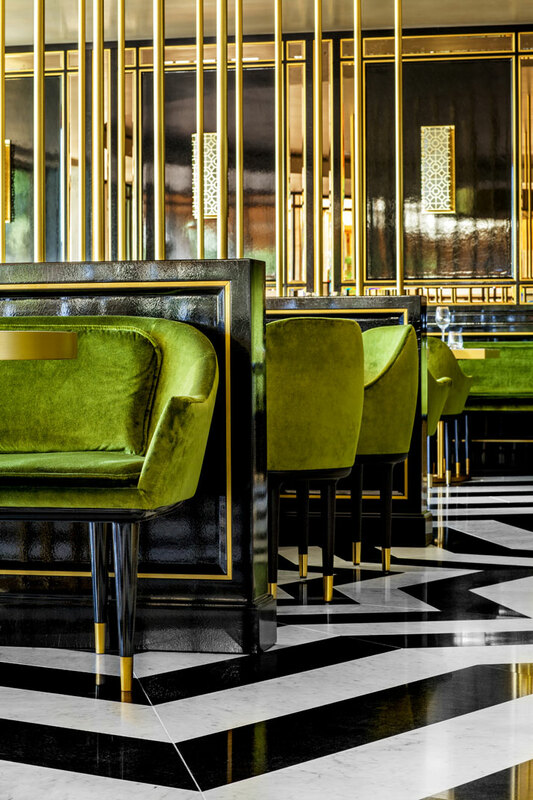 The eye is then drawn up in one seamless sweep along the brass bars surrounding the central table up towards the ceiling and back down along the jet-black lacquered walls inlaid with brass frames and ornate rectangular lamps to the black and white marble pictogram (a metaphor for the Star of Shanghai origami) in the floor. Lining the restaurant, large floor-to-ceiling windows lead the eye outside to the manicured gardens. 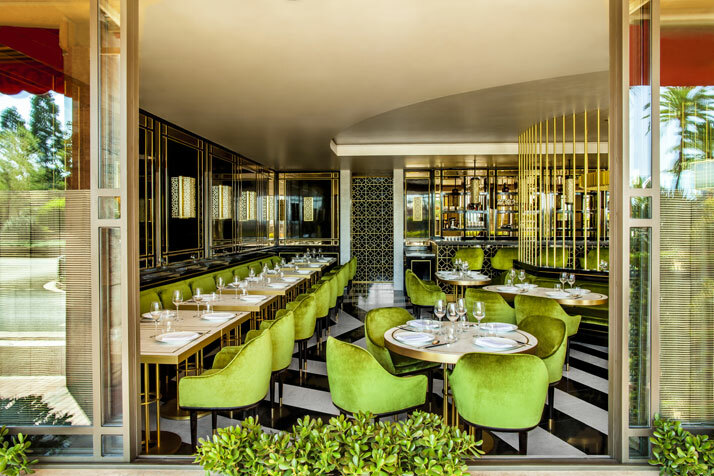 Song (after a major Chinese dynasty) Qi (energy) opened last May and is owned by Chef Alan Yau, from Hong Kong, and Monagesque entrepreneur Riccardo Giraudi. Yau is renowned for his restaurants including Hakkasan in London, which has two Michelin stars. 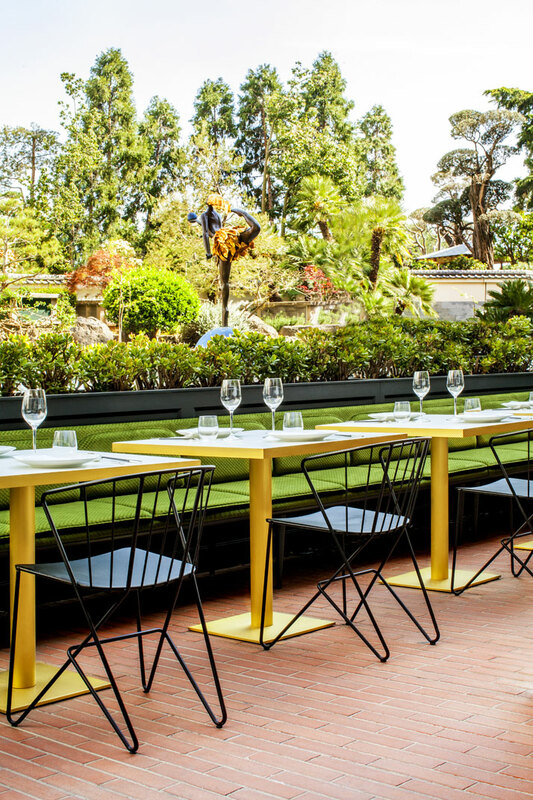 Riccardo Giraudi is the director of the Giraudi conglomerate, which has created the Monaco Restaurant Group, comprising six upmarket restaurants in Monaco. ''Alan Yau revolutionised Chinese cuisine a few years ago by making it glamorous. 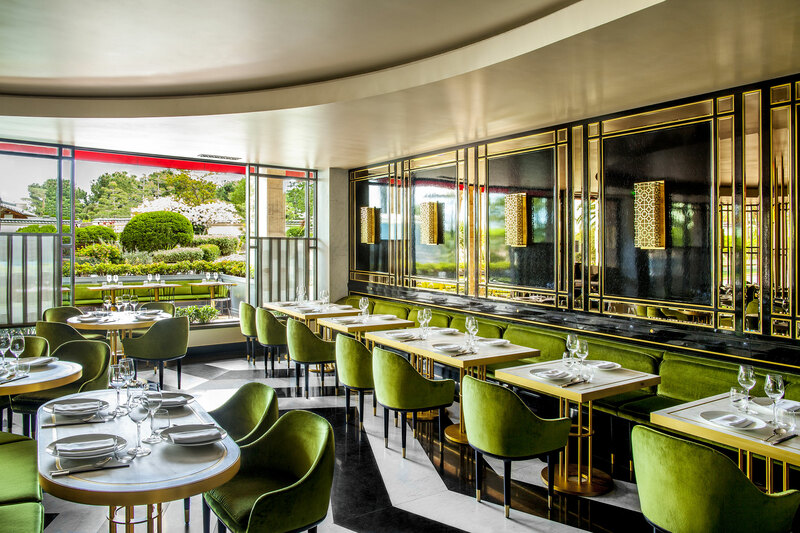 That is why when creating an upmarket Chinese restaurant in Monaco, I wanted to call upon the best ...'' Riccardo Giraudi explains about the collaboration. 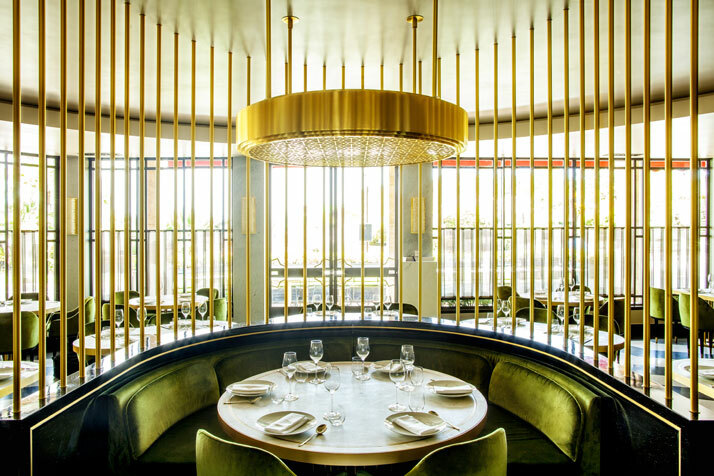 Yau’s menu at Song Qi offers dishes to share, as is customary in China and represents Chinese culinary art and modern luxury, just like the restaurant’s interiors. 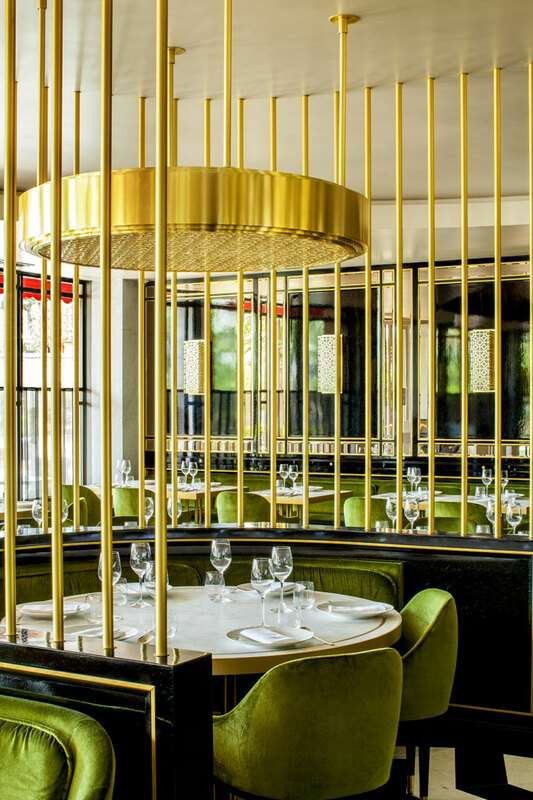 Song Qi is the Humbert and Poyet agency’s 10th restaurant project since the two architects created their agency in 2008 - previous projects include Mozza, Avenue 31, Beefbar Monaco and the newly opened Beefbar Berlin. Emil Humbert and Christophe Poyet are renowned for their signature style, “Their projects favour clean, precise lines, creating timeless spaces and using beautiful materials such as stone, wood and glass... However, the most important aspect to them is to reflect the personality of the clients and to respect the spirit of the venue,” as their agency’s website reads. And it certainly applies to Song Qi, where the film set drama can almost be sliced with a knife.